HOLIDAY GIFT GUIDE: For the Teacher! Whether it’s a gift for a teacher, a mentor, or someone who simply means a lot to you and you want to show a little extra love… these gifts are sure to put a smile on his or her face! Canvas Tote Perfect for books or trips to the farmers market! 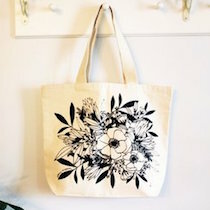 This floral tote from Portsmouth-based artist Whitney Somerville is printed with black, water-based ink on heavy cotton canvas. 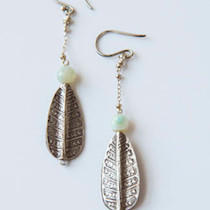 Leaf Bead Earrings A beautiful pair of sterling silver and turquoise drop earrings that are artfully designed to add style to everyday wear. Handmade by Lynx by Rachel Corwin. 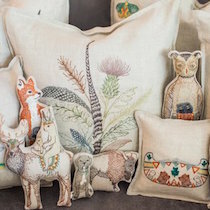 Coral & Tusk Home Décor Offering a variety of products from slip covers and tea towels, to coasters and ornaments, Coral & Tusk products are all embroidered with original art from a Brooklyn, New York artist. Available at Tayla Mac Boutique! 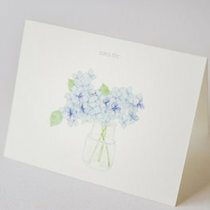 Personalized Notes Whether you’re gifting a set of personalized watercolored note cards, or taking the time to write a note of gratitude from your desk, these locally-designed and printed cards are as beautiful as can be! From the studio of Sara Fitz. 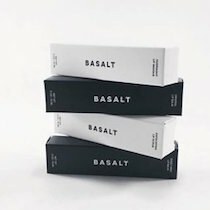 Lip Scrub & Exfoliating Masque Duo Teachers work so hard and are well-deserving of a little R & R. Treat them to a little pampering with this lip masque and exfoliating lip scrub from Southern Maine Skin Company! A Bouquet Gift a bouquet to an individual teacher or brighten up the teachers’ lounge! Such a festive creation will brighten anyone’s day throughout the holiday season. 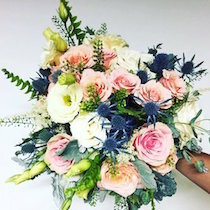 Flower Kiosk. World Calendar Allow the teachers in your life to plan events in style! 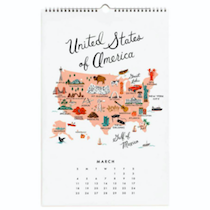 This colorful and beautifully-designed calendar highlights big cities and popular monuments from around the world. Sold at Gus & Ruby Letterpress. A Hands-On Experience Let a teacher be the student for a change! 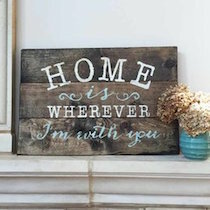 Treat teachers to a class at Board & Brush Portsmouth, where they can build their own work of art for their home or classroom in one fun night! There are still spots left in classes over the next few weeks to make holiday gifts for the people you love!